Know someone with a green thumb? Give them just the right gift this holiday season with one of these garden-themed presents. This affordable LED light allows gardeners to bring their work inside during the colder months, with year-round "inside sunshine." The Grow Buddy's spectrum lighting is specifically made to help a plant along from germination to budding, blooming, and maturity. This canvas tote will keep all the proper tools safely packed away in one place. It comes with a pruner, snips, rake, trowel, and more, so your recipient will have all the things they need to create a flourishing garden. Help your loved one mix up their collection with this kit that includes seeds to grow purple carrots, red brussels sprouts, stripy tomatoes, yellow zucchini and multi-colored swiss chard. The set also features starter growing pots, plant markers, and gardening tips. After a hard day in the garden, it’s nice to unwind with a little childish fun. This 96-page coloring book for adults lets the owner fill in relaxing scenes of plants, flowers, and topiaries. This fun indoor garden comes with a tiny aquarium. The plants up top absorb the nutrient-rich water below and, in turn, purify the water. The symbiotic set-up ensures both happy plants and fish. The Aquafarm also arrives with a chemical-free dechlorinator, seeds, and a packet of fish food. Give the gift of freshly grown strawberries right by your loved one's window with this special planter. The kit includes directions, seeds, growing medium, and a recycled steel box which has a lid that can also be used as a saucer. This series of egg cartons provides seeds to make a number of different things like cocktails, salads, and salsa. The best part is your giftee can grow the herbs right in the carton, with the included six packages of Organic & Heirloom Seeds, starter soil, and wooden plant stakes. The collection also arrives with growing instructions and recipes. This kit lets users symbolically plant their wishes and watch them grow. The six seeds all come with different metaphorical meanings. For example, daisies mean clarity and lavender represents happiness. 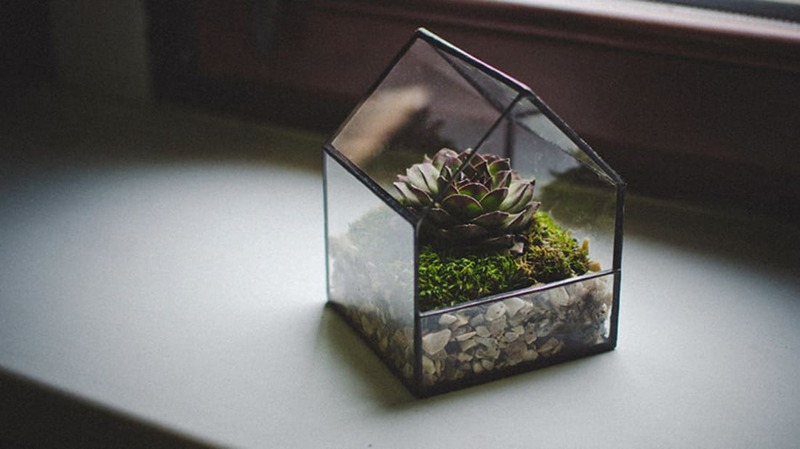 Terrariums are low-maintenance and great for beginner gardeners. The handmade glass house will enhance any decor and make a beautiful home for the right plants and pebbles. Show the gardener in your life that you care with specialized gloves. These suede work gloves are practical and considerate—especially when paired with a thoughtful note. Gardeners are basically plant parents, after all. Give your friend or family member the gift of a readymade excuse with this straight-forward tee.